As a pet owner, you want the best for your furry friend, and that includes making sure he is safe, does not cause damage and does not get lost. The best way to do that is by getting him a dog collar. Even dogs that grow with basic commands or intensive obedience training can sometimes become hyperactive and get out of control. This is because dogs are very curious about all the things around them, especially when walking outdoors. Dog collars ensure safer and more enjoyable walks for both you and your furry friend. There are numerous types of collars for dogs available on the market. Some of them are meant for walking, other for training, identification, or even for aesthetical purposes. Below I compare the different types of collars for dogs you can find on the market so that you get familiar with each of them and make an informed choice. 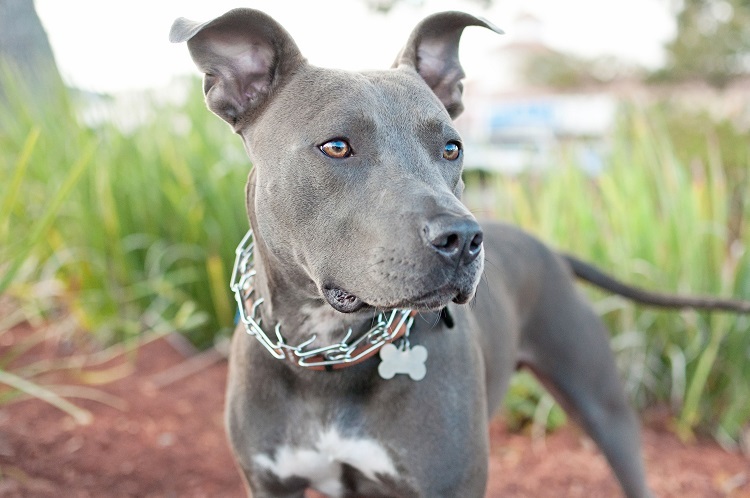 Simple dog collars are easier for your dog to get used to it. They allow you to keep him safely by your side and out of harm’s way and are recommended for dogs that don’t make issues while walking them. Simple dog collars come in a wide range of colours and pattern options, allowing you to find the perfect fit for your little buddy. If your dog is quite the trouble-maker while walking him in the park, then a training lead might be your best ally to help correct this behavior. A slip collar allows for quick corrections to get your dog back on track and it is perfect for dogs that tend to get distracted by noises or other dogs. Keep in mind that using this type of dog collar requires some knowledge up front. To avoid injuring your dog when correcting his behavior, consult a professional for safety instructions. If you want your dog to pull you around while you bike, ride, etc., this type of dog collar is the right one. Harness collars are also a great option for dogs that have pushed-in faces that impact breathing, such as dogs with throats and trachea problems, and dogs with elongated, slender necks. Get this one for your furry buddy to ensure his maximum safety and comfort. If you usually walk your dog at night, being visible will increase yours and his safety. That’s why workers and bicyclists use lights and reflective clothing. You can buy illuminated dog collars online and offline, which are designed for walking dogs at night. Illuminated dog collars can be solar powered or USB chargeable, and come with two lighting options, a steady or a flashing LED light.